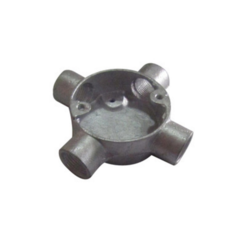 Providing you the best range of 4 way junction box, emt rigid gi elbows, milled edge lock ring, dome covers, pipe bends and crampet galvanised conduit accessories with effective & timely delivery. 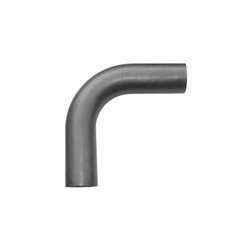 We offer Elbows Inspections that have the shape of an elbow with two terminals at both the ends. Our Elbows Inspections are made up of quality inspected materials that ensure the long lasting feature. 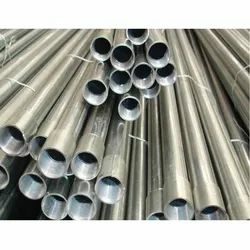 We manufacture & supply them in bulk amount at the most cost-effective prices to our buyers. 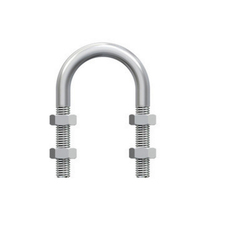 The Elbows Inspection are available in different sizes. 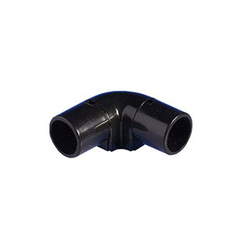 Offered in black & galvanized finishes the Elbows Inspections are also subjected to customization. 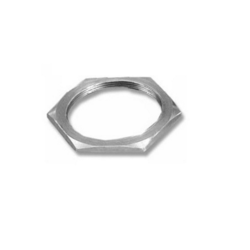 We offer Lock rings with milled edges. The Lock Rings have circular shape of two concentric circles, with internal & external diameters. 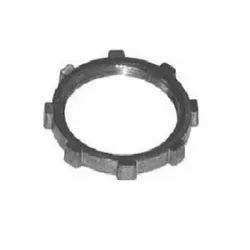 Available in two different modes of sizes the Lock Rings are the widest choices for various applications to our bulk buyers. 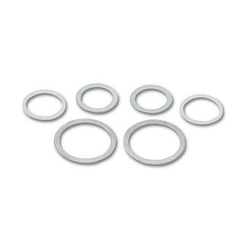 Durability, performance and competitive prices are remarkable features of these Lock Rings. 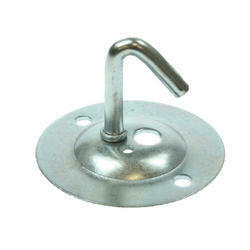 Apart the standard dimensions the Lock Rings are also available in custom designed shapes & sizes. 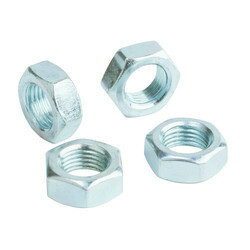 Metric Sizes available 3/4" ,1"
We offer Crampets that fit easily with brass male bush and lead washers. The Crampets are light in weight with spike and needle at the ends. Available in different specifications the Crampets are the most sought after at the reasonable prices. Our Crampets are manufactured & delivered in bulk amount to meet the ever increasing demand by bulk buyers. Subjected to customization the Crampets meet the client's need. 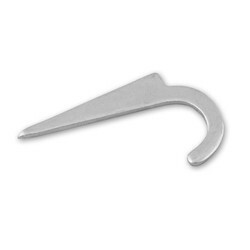 Available in black & galvanized finishes the Crampets are cost effective, as well. We offer Dressage Saddles that are supportive constructs with a crest on it. 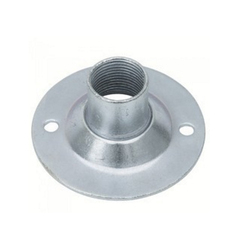 The Saddles are made up of quality inspected metals that can fit into the system easily and firmly. 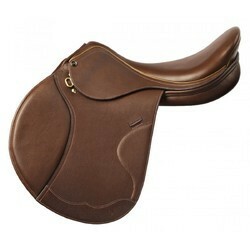 Available in two different types, the Saddles are offered to the bulk buyers at the cost effective prices. These Saddles are delivered timely to our bulk buyers. We offer different sizes of the saddles that cater to client's specific needs. The Saddles have holes at their leaf / leaves to ease fastening with the system. 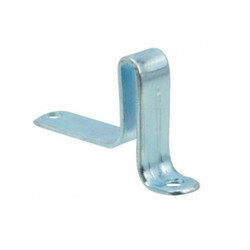 We offer Saddle Space Bars that have supportive constructions. The Saddle Space Bars are made up of premium quality metals that can fit firmly easily into the system. Available in various colors, the Saddle Space Bars are offered to the bulk buyers at the affordable prices. These Saddle Space Bars are delivered timely to our bulk buyers. Different sizes of the Saddles are the buyer's profitable option to cater to their different needs. The customization feature and excellent finishes in black & hot dip galvanized makes them to be even more lucrative. The Super Saddle Bars have holes at their leaves to ease fastening with the system. 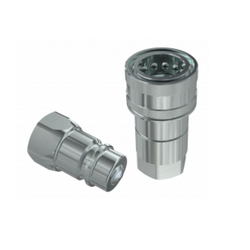 We offer Couplings that join two pieces of rotating tool while allowing some degree of misalignment or end movement or both of the two pieces. Huge savings can be made in reducing maintenance costs by the meticulous selection, installation and maintenance of the couplings. 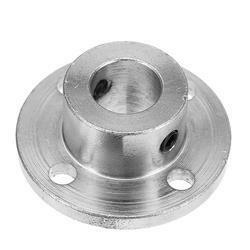 Available in different metric sizes in black & galvanized finishes, the Couplings are used across various applications in diverse industries. 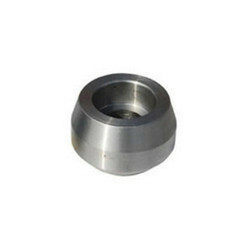 Our Couplings are subjected to pattern changes and hence meet the need of various clients. Our Back Outlets are bowl shaped with a tiny hole at their bottoms. 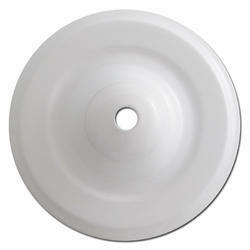 Made up of quality inspected materials the Back Outlets last longer and are hence most sought after. The Back Outlets are not only available in standard sizes but also in customized sizes. The custom tailored features ensure that the client's requirement is met. The regular imperial sizes that these Back Outlets. 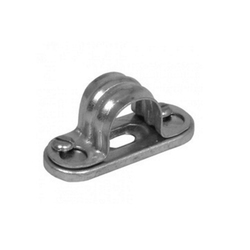 Usually the Back Outlets are available in galvanized finishes. Imperial Diameter 20mm, 25mm, 32mm, 40mm, 50mm etc. 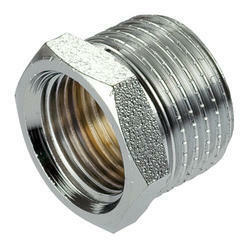 Looking for “GI Conduit Fittings Accessories”?